There are mornings that you get up and you have a surprise waiting for you! I practice yoga and meditate because I feel good. I have few yoga poses on my YouTube channel. But I’m not a yoga teacher by any means! So imagine my surprise when the 101YogaStudio team told me that they had included me in their article “The best yoga poses to reduce fat on the arms”. I can only say: Namaste, I will continue practicing! Please, read this interesting article and encourage yourself to practice some of these yoga poses that, without a doubt, will bring you many benefits. How many of you have been told that if you burn more calories than you eat, weight loss will be inevitable? How many of you have discovered that this advice does not seem to apply to you no matter how hard you try? Then you think, “I must be doing something wrong, I’ll exercise more and I’ll eat fewer calories than I already am, that should work!” Unfortunately, more often than not it doesn’t. You might think that a calorie is a calorie. But the way the body breaks down carbohydrates, protein and fat, and the effect they have on our bodies differ vastly. Instead of just counting calories, you should take care where these calories come from. The source of the calorie changes how you digest it and how you retrieve energy from it. Even more important is the fact that different foods and macronutrients have a major effect on the hormones and brain centers that control hunger and eating behavior. The foods we eat can have a huge impact on the biological processes that govern when, what, and how much we eat. Protein keeps us feeling fuller for longer by slowing digestion, but its primary role in the body is to maintain and build new cells, growing and adding new tissues. Protein is beneficial for weight loss, as it contributes to satiety and offsets the amount of lean muscle that is burned for energy, in addition to fat, during a calorie deficit. Proteins provide about 4 calories per gram but there are higher quality proteins, which may reduce appetite and optimize muscle repair and recovery (fish or eggs), and lower quality proteins (hamburger meat) that are loaded with branched-chain amino acids, which have been linked to metabolic disease and insulin resistance. Carbohydrates are by far the most complex because our bodies use the different types of carbohydrates (such as fiber, starch, and sugar) in very different ways. Carbohydrates are used by the body as a quick source of energy, particularly for the brain, liver, and muscles. All carbohydrates provide 4 calories per gram (with the exception of fiber, which our body can’t digest). Though not a source of calories, fiber is considered a high-quality carbohydrate since it slows digestion and moderates the absorption of other nutrients, like sugar. For this reason, high-quality carbohydrates typically contain fiber and are minimally processed. These include fruits, vegetables, whole grains, and legumes. Lower-quality carbohydrates almost always lack fiber and add little more than “empty calories” to our diets. Carbohydrates have been categorized as simple or complex in the past but many doctors are pulling away from those narrow categories and moving toward glycemic index. An apple is a simple carbohydrate because it is digested quickly by the body, but the fruit is better for you than other simple carbohydrates like chips or crackers. That’s why the glycemic index as a more accurate measure of a food’s value (good or bad). When something has a low glycemic index, it raises your blood sugar levels slowly, increasing your insulin levels gradually. Focus on low-glycemic foods like whole-grain pasta, wheat bread, fruits, beans, and nuts. High-glycemic foods include candy, croissants, and scones. By choosing the low-glycemic foods and thus the minimally processed foods, people can lose more weight, feel fuller longer, and remain healthier. Let’s take it a step further and compare calories from two different types of sugar: glucose and fructose. Starchy foods like rice, potatoes, and pasta are predominantly made up of glucose, a simple sugar that can be burned for energy by every cell in our bodies. It’s stored in our liver and muscles for a quick source of energy during exercise or while we sleep. Unprocessed starchy foods, like brown rice, potatoes with the skin on and whole-wheat pasta, contain the food’s natural fiber as well as some vitamins and minerals. Fructose can only be broken down in the liver. It’s also the sweetest tasting of the three simple sugars. In nature, fructose is found in fruits bound tightly to indigestible fiber that, as we already know, reduces and slows its absorption. Unfortunately, the majority of fructose in our diets isn’t from fruits (it’s from calorie-containing sweeteners added to sweetened beverages and the majority of processed foods). Fruits also have fiber, water, and significant chewing resistance, which mitigate the negative effects of the fructose. So, try to change these processed foods for real fruits. In addition to being a potent and flavorful source of energy, fats slow digestion, deliver important fat-soluble vitamins to the body, and provide important building blocks for every one of our cells. All dietary fats provide about 9 calories per gram but some fats are better for our health than others. For example, polyunsaturated omega-3 fats, found in foods like wild salmon and flaxseed, have protective, anti-inflammatory properties, whereas artificial trans fats have been linked to increased inflammation and heart disease. Also, very-low-fat diets may actually slow a person’s metabolism down to a level where it is not burning calories as effectively as it could, says researcher David S. Ludwig, MD, PhD, who directs the Optimal Weight for Life program at the Harvard-affiliated Children’s Hospital in Boston. The thermic effect of food is a measure of how much different foods increase energy expenditure, due to the energy required to digest, absorb and metabolize the nutrients. Different foods go through different metabolic pathways. The more efficient a metabolic pathway is, the more of the food energy is used for work and less is dissipated as heat. If we go with a thermic effect of 25% for protein and 2% for fat, this would mean that a 100 calories of protein would end up as 75 calories, while a 100 calories of fat would end up as 98 calories. Studies show that high protein diets boost metabolism by 80 to 100 calories per day, compared to lower protein diets. Put simply, high protein diets have a metabolic advantage. 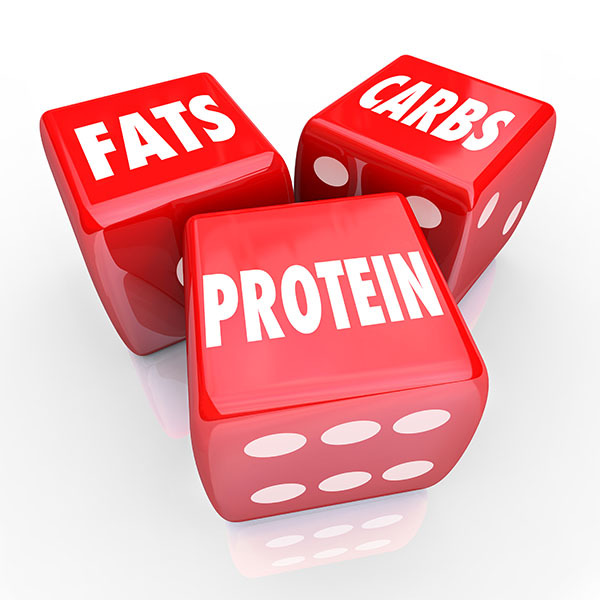 If people increase their protein intake, they start losing weight without counting calories or controlling portions. Protein puts fat loss on autopilot. Ultimately, the quality of what we eat impacts not only our weight but also our overall health and well-being. Counting calories alone doesn’t work because ultimately it matters where those calories come from; this matters more than the number of calories ingested. A swimming pool is not only for swimming. We can perform several exercises into the water with great benefits. But it is not as simple as pay the ticket and swim. According to our injuries or goals, some exercises are recommended while others are forbidden. Water offers more resistance than air. At the same time, compress our joints and push up our body, feeling lighter (we don´t lose weight, but it feels like it for our joints).